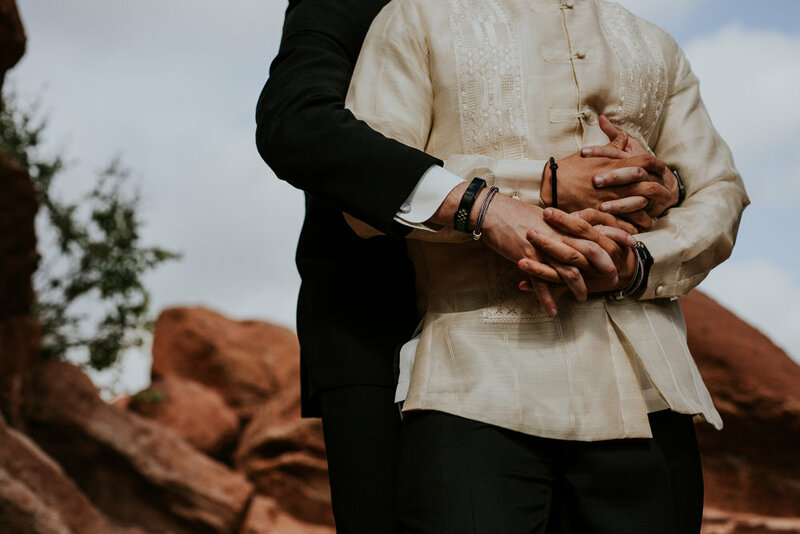 When we first met Philip and Michael, we knew that we would get along. 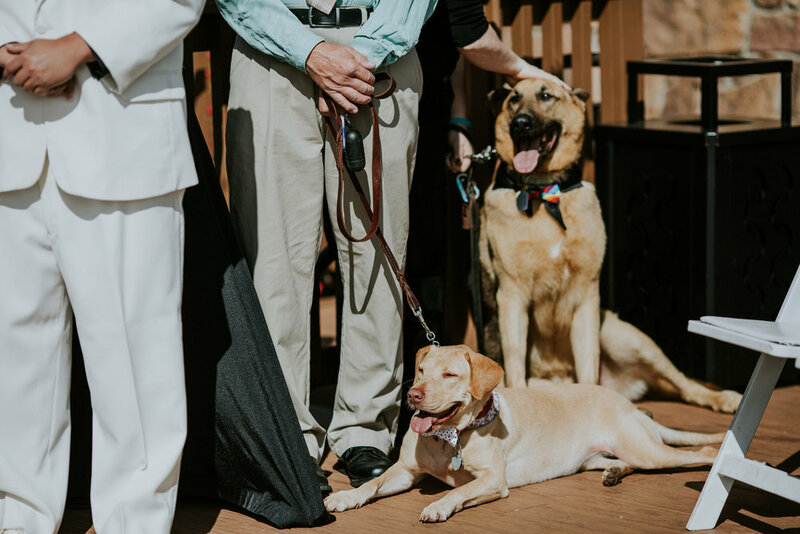 They love the outdoors, they're hilarious, they are incredibly thoughtful and caring, they love dogs (their two dogs, Sampson and Canella attended their wedding), and they are completely themselves at all times. 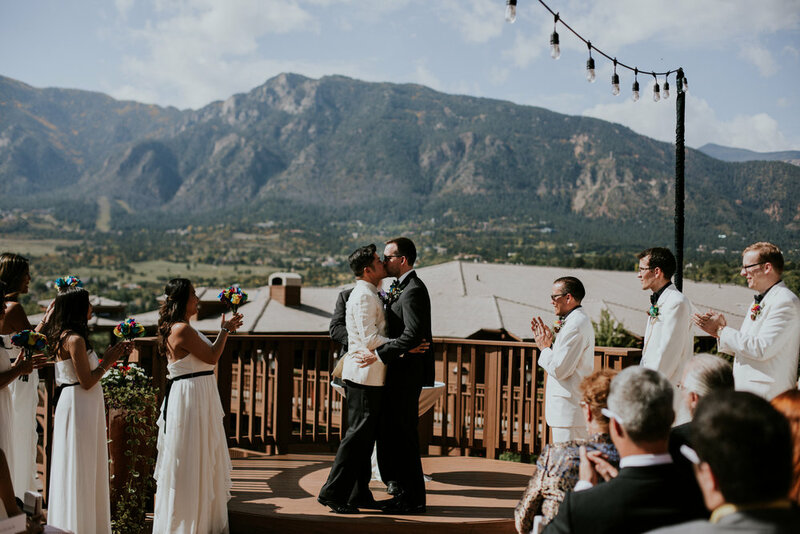 Philip and Michael decided to have a destination wedding in Colorado Springs. 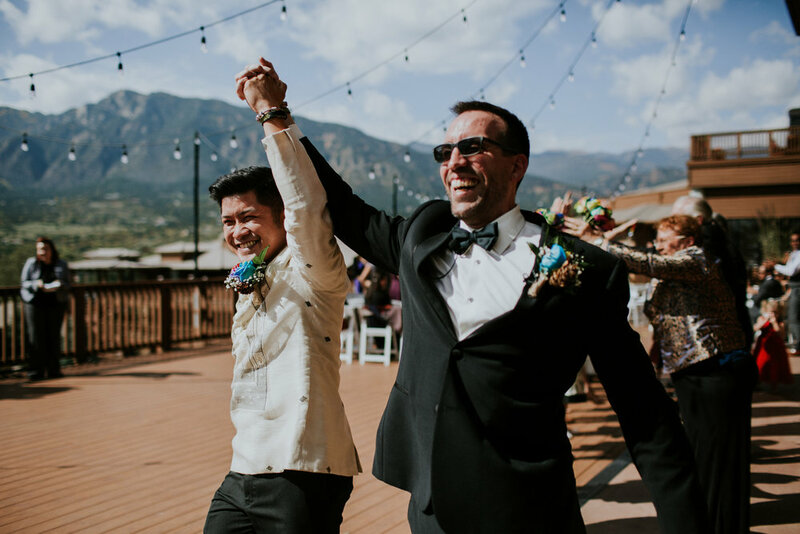 Many of their guests traveled from California and even the Philippines to be a part of the celebrations. Instead of having a color palette of a few colors, they chose every color of the rainbow. 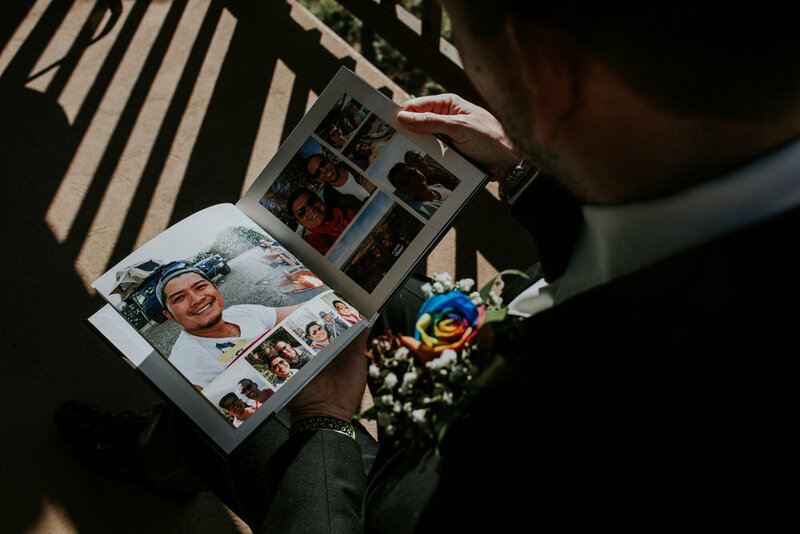 They had rainbow roses in the boutonnieres and bouquets, their flower girls wore floral rainbow headbands, they had a rainbow cocktail, and even their wedding cake was rainbow! 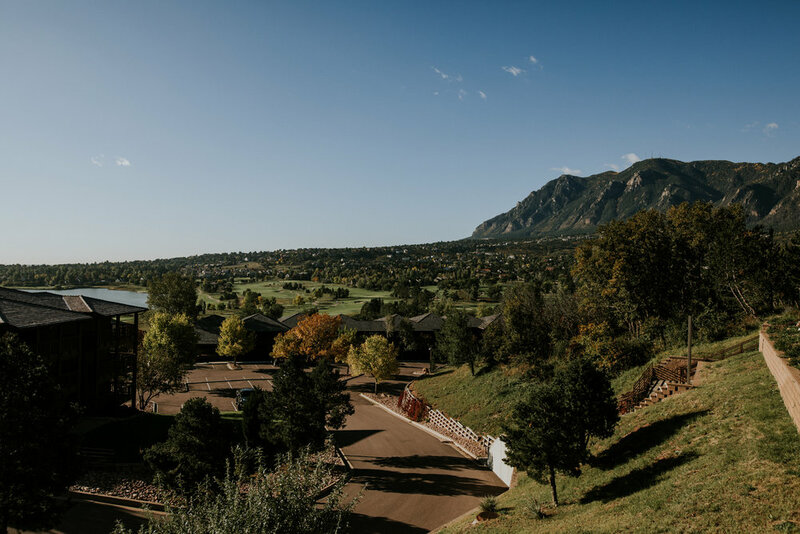 They started the day at the foot of Cheyenne Mountain. 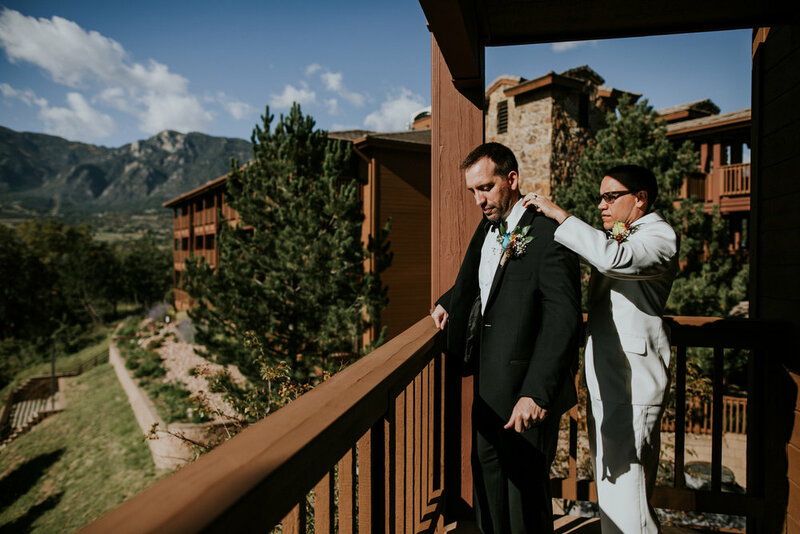 They each got ready in neighboring rooms accompanied by their closest friends and family. 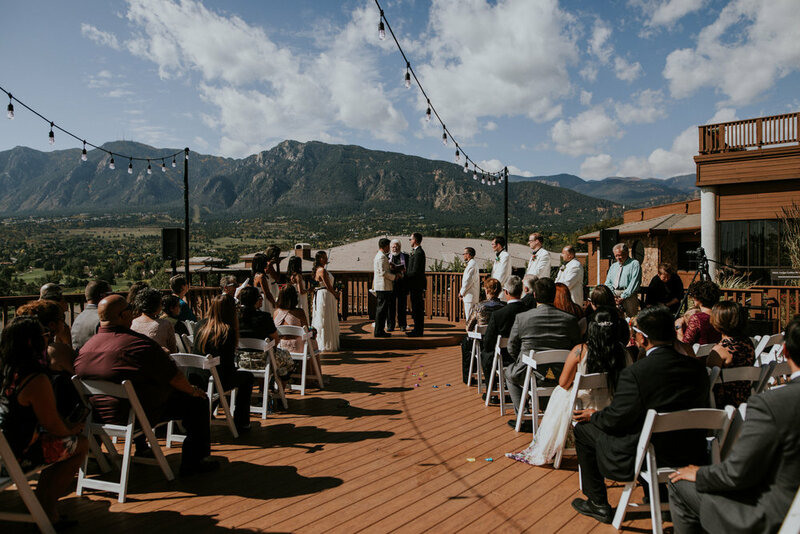 Their ceremony was held on the terrace facing the mountains. 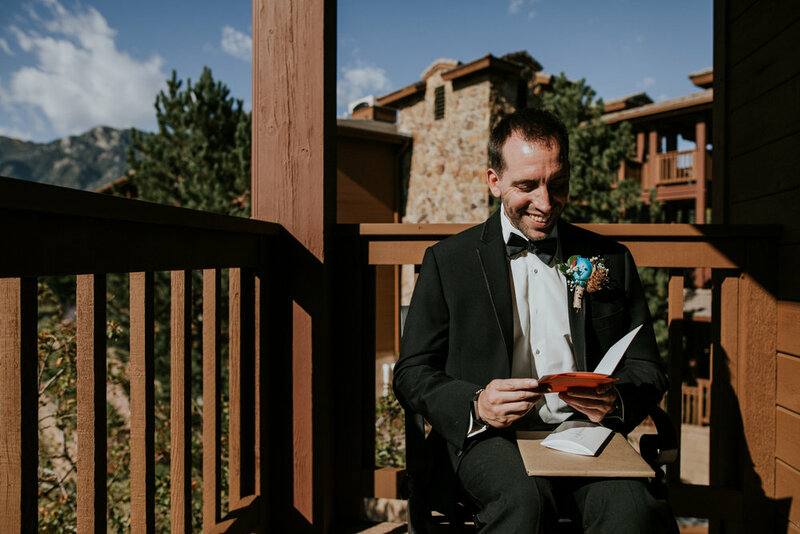 We were all expecting overcast and rain for their wedding day, but luckily the forecast changed and we all enjoyed sunshine and blue skies! 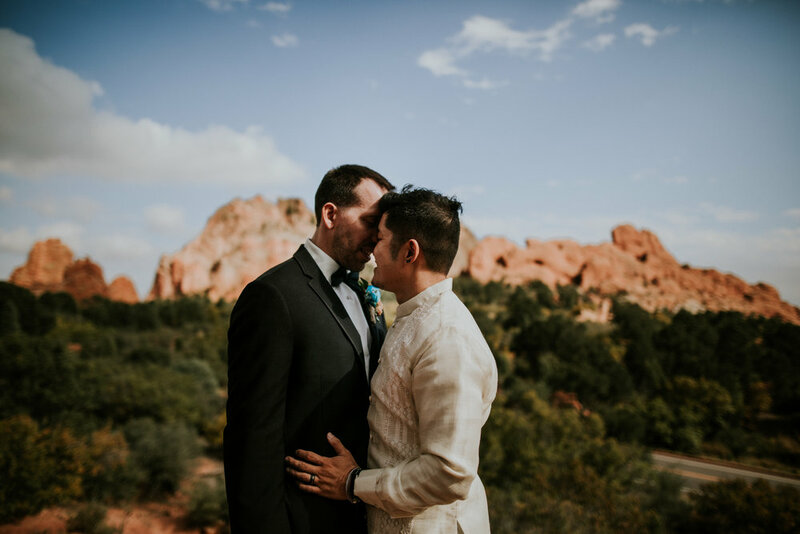 After their ceremony, we went to Garden of the Gods with Philip and Michael. 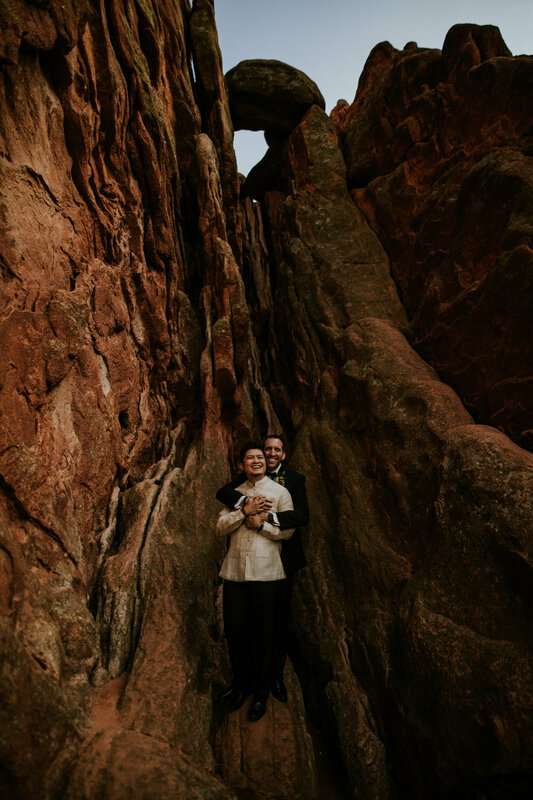 We climbed the red rocks together and laughed uncontrollably. Philip and Michael had all of us laughing at their jokes. 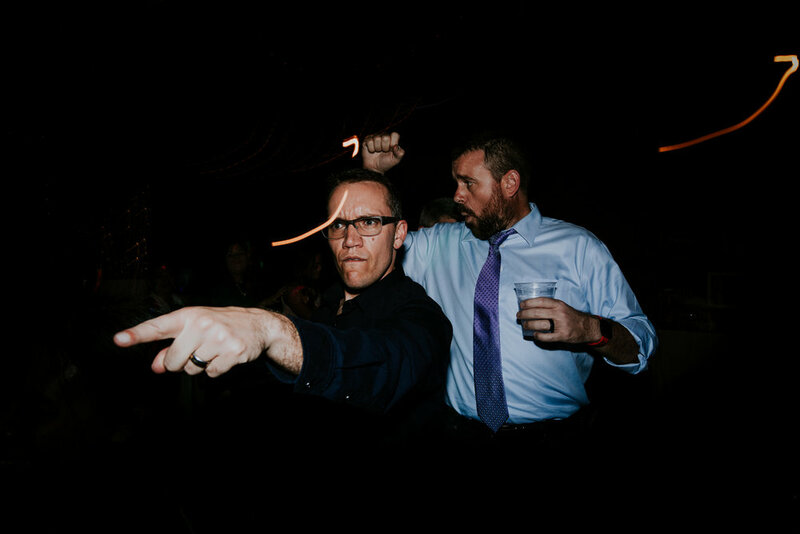 As you'd expect, their reception was just as lively as the beginning of the day. 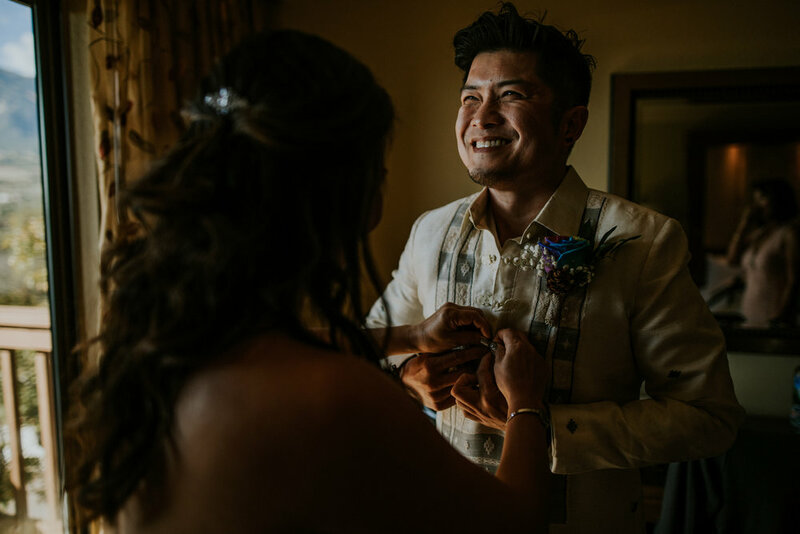 Their families shared a meal together (which included a mix of American and Filipino foods), and then got down on the dance floor. 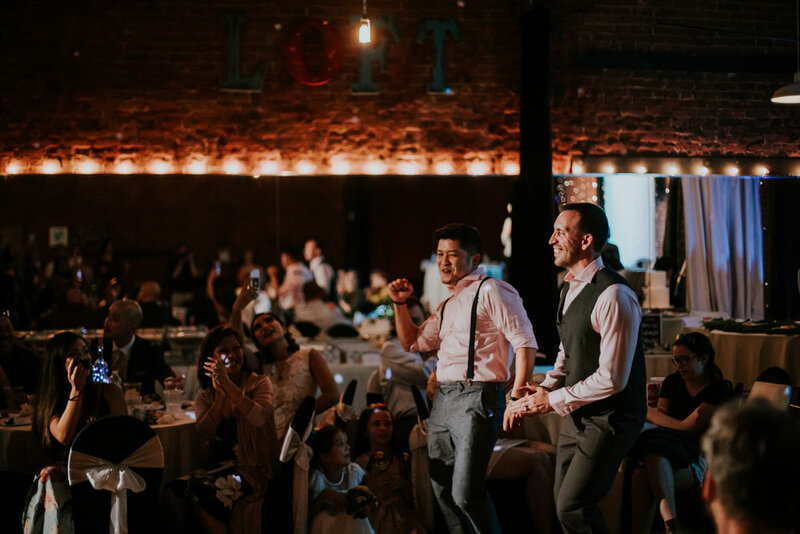 We wouldn't be surprised if Philip and Michael woke up with sore cheeks the next morning from all the laughing and smiling they did. Their joy and positivity radiates off of them, and it's impossible not to enjoy being around them. 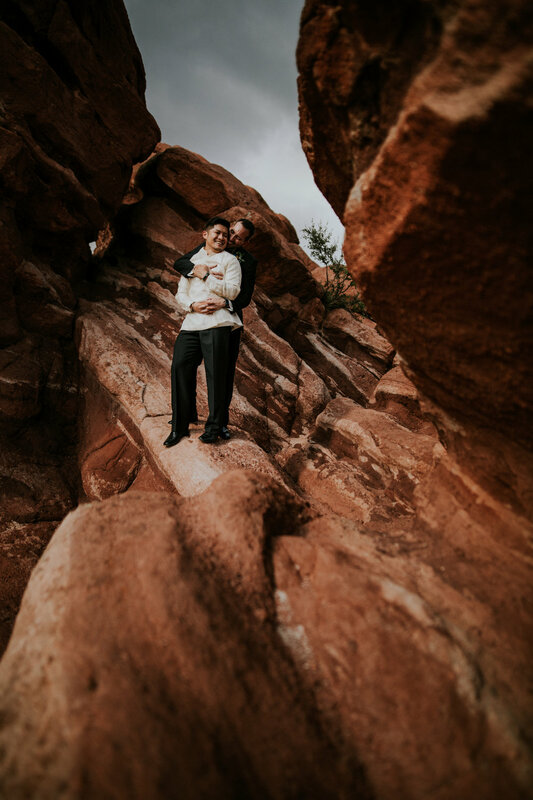 We can't wait for them to become Colorado residents next year!